Hiring employees in Canada comes with certain risks and responsibilities, especially when it comes to Canadian payroll tax. Payrolling your first employee can be stressful: there’s a lot to know, many regulations to follow, and many processes and procedures to go through to ensure you’re following Canadian law and paying your Canadian workers correctly. Here are answers to the top five questions you might have about Canadian payroll tax, so you can feel confident about hiring your first employee and handling payroll and taxes in Canada for the first time. 1. What are my responsibilities regarding Canadian payroll tax as an employer? To begin, you’re going to have to get a business number if you do not already have one, and then you’re going to have to register with the CRA for a payroll account. Next, you will need to have the employees you hire provide you with their SINs and fill out the necessary information forms that will determine how much income tax they will pay. Once employees start to work and accumulate pay, it will be your responsibility to calculate their salaries and their mandatory deductions, including federal and provincial taxes, employment insurance premiums, and Canada pension plan contributions, along with any other deductions that need to be made. Once these calculations have been correctly made and your employees have been paid, it is also your responsibility as an employer in Canada to remit the workers’ deductions as well as your own employer contributions to the CRA regularly. 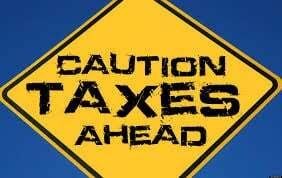 You will also have to file taxes annually. 2. How can I easily calculate Canadian payroll tax and deductions? It might seem pretty straightforward to calculate Canadian payroll tax and deductions, but it can become increasingly complex. The amounts will vary according to the TD1 forms your employees filled out as well as the year of operation and the location you’re operating in. Specific rules and exceptions for tax, CPP, and EI deductions can be found in the Income Tax Act, Canada Pension Plan and Employment Insurance Act. The easiest way calculate deductions is to check out the CRA’s tax tables and use an online deductions calculator. 3. What do I need to know about preparing T-4 Slips? You are responsible for preparing T-4 slips for all of your company’s past and current employees who received income that year. You must send these slips out by February 28 of each year, and keep records of all income paid as part of your Canadian payroll tax obligations. 4. How do I remit deductions to the taxation center? You will need to send remittances to the government on a regular basis, by the required deadlines, by cheque or money order. The first time you do so you will also need to add a letter stating that you’re a new remitter and provide your business number, company name, address, and phone number, and the period the remittance is for. The deadlines you will have to follow will vary depending on your average monthly withholding amount. Penalties for missed deadlines are 10 to 20 percent of the money owing. Absolutely. If your payroll needs do not warrant a full-time, permanent payroll clerk, you can either outsource your Canadian payroll tax needs to a payroll provider or engage an employer of record (EOR). In both cases, you will hand over the responsibility to a third party. Both the provider and the EOR will ensure that your employees are paid accurately and on time, ensure that all appropriate taxes and other deductions are withheld, that your remittances are filed on time, and that your company is processing payroll in compliance with Canadian regulations. The only difference is that with a payroll provider, you are still the employer of your workers and have full responsibility towards them while an employer of record takes over as the legal employer and you enter into a co-employment relationship. Every small business owner shudders at the word “taxes,” especially those who are just starting out and haven’t quite figured out how to process payroll correctly yet. But to avoid fines and penalties, it’s vital for small business owners to be prepared and informed about payroll and taxes so they can ensure they’re complying with tax regulations. Tax tips can help you increase your knowledge and feel confident when processing payroll. These payroll tax tips can be beneficial to helping you understand your payroll requirements as a small business owner. It can be beneficial for business owners to open up a second bank account specifically for the company’s payroll. This way, payroll funds and payroll taxes are separated from your general business funds, which can make things simpler when the time comes to process payroll and pay remittances. When you hire new employees, they should be filling out a federal TD1 form and a similar provincial or territorial form to provide you with the information you’ll need for income taxes. Although EI and CPP deductions are fixed rates, the income tax you deduct will be based not only on the CRA’s tax tables, but also on the personal information provided on these employee forms, so make sure you get them filled out. When your employees use vehicles that are leased or owned by your small business, you need to calculate the appropriate taxable benefit amount that is to be included in the employee’s income. To help you calculate the right amount to prorate to the employee’s pay periods, you can use the Canada Revenue Agency’s helpful Automobile Benefits Online Calculator. Simply follow the instructions, answer the questions, and the calculator will determine the resulting amount that is subject to not only income tax, but to the Canada Pension Plan contributions as well. If your small business is part of an industry where employees earn gratuities or tips, you have an added tax headache to worry about. Determining whether the tips received are controlled or direct gratuities will impact tax, CPP, and EI deduction amounts. Controlled tips are gratuities that are controlled and paid out by the employer and, and these are subject to CPP and EI contributions as well as income taxes. Direct tips are paid to employees directly by clients so they are not controlled by the employer. Direct tips are not subject to deductions as the employer is only seen as a conduit for the tip rather than the source. 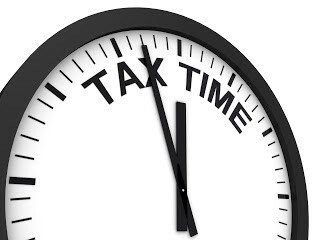 If you’re paying your payroll tax remittances late, you’ll be charged high penalties. To ensure that you’re always sending in your remittances on time, get out your calendar and set up a system to remind you of looming deadlines. Remittance dates can vary depending on when your employees are paid and the amount owed so get informed on which deadlines apply to your small business before it’s too late. You’re probably not a payroll expert—and that’s OK. If deducting and remitting the correct totals of taxes and contributions is a stressful thought to you, consider outsourcing the task to a payroll service provider. A service provider knows the ins and outs of payroll taxes and can ensure that you’re always in compliance with tax regulations. As a small business owner, you have a lot on your plate. When you partner up with a payroll professional, you have one less thing to worry about. Use these payroll tax tips and breathe easy. Employing Canadian Workers? Our Business Taxes Can Be Quite the Pain! Employing Canadian workers and deducting the correct Canadian payroll taxes from their paycheques can be difficult if you’re an American or foreign company outside of North America. We’ve compiled a list of Canadian taxes a company employing Canadian workers should be aware of, if they are not engaging with an Employer of Record service. All Canadian businesses must file a corporate tax return with the Canadian government. This corporate tax return is due within the six months after the end of the company’s fiscal year. If you are engaging with Canadian companies for the sale of your product or service you need to be aware of the sales tax for the province you are doing business in. For goods and services sold in Canada, every company must charge the applicable provincial sales tax. The same is true in the reverse, if you purchase goods and services in Canada, you will be charged the sales tax. You are then required to reconcile these debits and credits to pay or report to the Canada Revenue Agency. Every province has a different rate and the remittance schedule can vary as well based on company size. In Ontario, it is called the HST (Harmonized Sales Tax) and the rate charged is currently 13%, in Alberta that rate is 5% for their GST (Goods and Services Tax). For a full list of HST/GST rates by province, please visit the Canada Revenue Agency’s website. Another tax to be aware of as a foreign company is the possibility of the 15% withholding tax. If a U.S. or foreign company chooses not to register a Canadian business presence but does engage in a sales transaction with a company in Canada, that company must withhold and remit 15% of any payments for services rendered in Canada. Some taxes are consistent for all employers across Canada such as the Canada Pension Plan (CPP), Employment Insurance (EI) and Worker’s Compensation. These taxes may be consistently seen across all provinces and territories but the rate that they are charged can vary. Other taxes are province or territory specific. For example, in Ontario employers must pay the Employer Health Tax (EHT) and in Quebec there are three additional taxes over and above the federal ones. Please visit the Canada Revenue Agency’s website for further information on provincial payroll taxes and rates. If you have not engaged an Employer of Record here in Canada and have successfully registered your business, enrolled for the various government accounts and are up to date on your taxation responsibilities, you may be ready to hire your first employee. If you’d prefer to have an Employer of Record handle the complexities of Canadian employment law, contact The Payroll Edge today and we’ll take care of the workforce compliance issues for you! The hardest part about Canadian payroll tax calculations is not knowing that there are things you don’t know. There are so many subtleties to the law that are impossible to learn strictly by reading the statutes. Different situations can arise that completely change the way certain regulations are interpreted and applied. For many of these situations, experience is the only teacher. Unfortunately, experience can also be a harsh mistress. With Canadian payroll tax calculations, your first indication of a mistake could come in the form of an audit, along with fines and back payments. There’s a steep learning curve, and trying to go it alone can lead to costly errors along the way. On its face, one of the simplest parts of Canadian payroll tax calculations is determining the appropriate withholdings. There are even payroll tax calculators that can be of great assistance in making these calculations. Unfortunately, no calculator can tell you if you’ve classified your employees correctly, if all of their paperwork is in order, or if any circumstances exist that could change the necessary calculations. Figuring out what to enter in the calculator is entirely up to you. If you get it wrong, the resulting figures will also be wrong. Reading a statute doesn’t tell you anything about how it’s being applied in the field, during audits, and in courtrooms. Once the dry text hits real life application, a world of different interpretations come into play. If you’re not dealing with these laws every day, you won’t be developing the experience necessary to understand the complex interplay between legislation and application. To compound this problem, the way the laws interact with each other can be equally complex. Knowing which law to apply in a particular situation can only be learned through experience. The laws governing Canadian payroll tax calculations change, at a minimum, on an annual basis. Extreme situations or legal interpretations can bring about sudden changes to the law at any time. Keeping up with current and proposed changes is difficult enough—having an ear to the ground for sudden, unexpected, changes can be impossible for someone who doesn’t deal with payroll regulations on a daily basis. Some changes have a grace period to give you time to adjust; others will require immediate changes to the way you handle Canadian payroll tax calculations. One of the hardest parts of Canadian payroll tax calculations can be admitting that you need help. Business owners tend to want to handle as many processes as possible in-house. That’s admirable—until it jeopardizes the company. Handling Canadian payroll tax calculations on your own can spread your staff too thin, cause unneeded stress, and open you up to fines, back payments, and lawsuits. Using a payroll service provider is a quick, easy way to relieve the burden on your staff, while also minimizing your exposure to legal problems. With their experience in the payroll industry, they can give you the peace of mind that comes from knowing that you’re in full compliance with all applicable payroll regulations. If you’re a Canadian employer, you may be looking for a payroll calculator to help you determine the appropriate withholdings for your workers. To avoid the expense of fines and back payments, deductions must be accurately withheld and remitted to the proper government agencies. Using a payroll calculator is a quick, easy way for employers to calculate basic deductions. Of course, not all deductions will be basic, and no calculator can fully replace the expertise and guidance of an experienced payroll professional. And, like all payroll calculators, the results will only be as accurate as the data that you enter. Any mistakes, omissions, or regulatory misinterpretations entered by the user will create erroneous results. While a payroll calculator can be a useful tool, it cannot, nor is it intended to, serve as a standalone solution for determining the proper deductions for every employee in every situation. 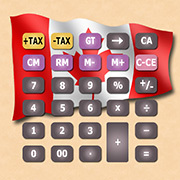 Like all calculators, a Canadian payroll calculator takes the information you give it, does the math, and generates a result. Unfortunately, Canadian payroll regulations are about much more than some simple math. There are complexities and subtleties to the law that only the most experienced payroll professionals are equipped to deal with. A payroll calculator can’t tell you if you’ve properly classified your employees, or if new positions or jobsites have caused changes to their status. It also can’t tell you if you’ve applied the correct payroll regulations in every situation. The calculator assumes that you have entered all of the information correctly, and creates its results based on that information. If you don’t have a firm understanding of all of the applicable laws and regulations, then the results from the payroll calculator can be misleading. For businesses that try to manage their own payroll, there are quite a few obstacles that can’t be overcome with a calculator. Learning, understanding, and properly interpreting Canadian payroll regulations is just one of these obstacles. There are also government accounts to create and maintain, establishing banking and insurance accounts, and making sure that employees and workplaces adhere to health and safety regulations. Trying to manage everything by yourself can be time consuming and expensive. In the event that any mistakes are made along the way, the costs and time involved can increase exponentially. While a payroll calculator can help you with some very basic needs, you’ll still have a lot of work left before you can start hiring and paying employees. A payroll calculator, like the one found here can be a great addition to your toolbox. However, no calculator can replace the guidance of a qualified payroll professional. Only they can tell you if you’re understanding and interpreting all of the regulations correctly. And, while a calculator can only calculate, a payroll service provider can do so much more. They can manage and administer all of your payroll and personnel needs, freeing you and your staff to focus on your core business pursuits. They can monitor employees and job sites to ensure continuing compliance with all federal and provincial regulations. And, when it comes time to pay your employees, they have all of the necessary personal, equipment, and training to calculate withholdings, make remittances, and issue paycheques. Use the calculator for the basic needs it was meant to address—for your more complex payroll issues, you need to trust the professionals at a qualified payroll service provider. 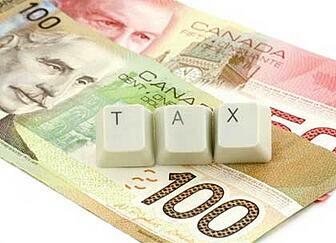 Missing Canadian tax withholdings can be an expensive mistake for your business. The fines and penalties for improper withholdings can easily exceed the cost of hiring a Canadian payroll service provider to do it right the first time. In the event of an audit or formal hearing, you’ll also have to factor in the expense of legal representation. Of course, you also have to consider the amount of time you’ll spend dealing with multiple levels of government bureaucracy. In the end, the services of a Canadian payroll service provider would end up saving you a lot of money, time, and aggravation. Whether you’re a Canadian employer or a US-based employer paying employees in Canada, a Canadian payroll service provider can make sure that your withholdings are accurate and timely. Payroll regulations in Canada are incredibly complex. They also change frequently, and with little notice. To make matters worse, the application of those regulations can change depending on your situation. Filing deadlines may change, depending on your previous withholdings. The necessary withholdings may change, if the nature or place of employment for a worker changes. Keeping up with changes to the regulations, and changes to the way they apply to your business, can be more than a full-time job. If you get it wrong, even once, the fines and penalties can be staggering. Engaging the services of a Canadian payroll service provider helps ensure that you never get it wrong. 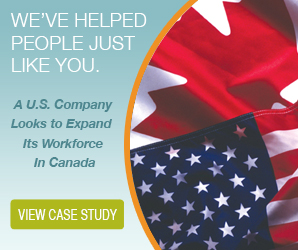 If you’re a US-based business paying Canadian employees, things are even more complicated. You have to deal with all of the same rules and regulations that govern Canadian businesses. You also have to deal with all of the issues inherent in running a business across international borders. And you have to do it all while still dealing with all of your payroll issues in the States. You will essentially be running two separate, and incredibly complex, payroll departments. Mistakes on either side of the border can cost you dearly. Using a Canadian payroll service provider as an Employer of Record (EOR) offers you some key advantages. Similar to a US Professional Employer Organization (PEO), an EOR acts as your administrative presence in Canada. They can handle all of your payroll needs, including withholdings and remittances. They can also help you establish a business infrastructure, meet insurance requirements, and other practical and legal necessities. With their help, you don’t have to worry about missing withholdings, managing multiple payroll departments, juggling international legal compliance, or other issues. Using a Canadian payroll service provider allows you to spend more time focused on mission-critical tasks. You don't have to spend time managing multiple payroll departments, learning international payroll requirements, or dealing with bureaucrats from two separate countries. Instead, you can let a Canadian payroll service provider handle all of those issues for you, while you remain focused on more important business pursuits. Both employers and employees can benefit from independent contractor arrangements. Employers like working with independent contractors because they don't have to pay CPP, EI, income tax, pensions, and benefits. The contractors themselves also appreciate the arrangement because they can write off reasonable business expenses and avoid the bureaucratic hassles that accompany working within a business. Working in an independent contractor framework seems like a win-win situation for both employer and employee, so what's the catch? The CRA is strict about the definition of an independent contractor because they know that some people use independent contractors to avoid paying taxes and benefits. To draw a clear line on the issue, the CRA has formulated a four-point test to determine whether or not someone is an employee or an independent contractor. Abiding by this four-point test is critical to you as an employer. If the CRA finds that you're not following the regulations governing independent contractors, you could be subject to back taxes, CPP contributions, and EI deductions for the time spanning your employee's involvement with your company. This is not just an issue for large corporations. Any business, large or small, could find itself facing huge financial penalties if the CRA finds that it hasn't followed its guidelines regarding independent contractors. The guidelines specifically examine control, ownership of tools, profit/risk, and integration. Essentially, the CRA wants to know who is in control of the work done. If the employer specifies how the job will be done and directs the worker's daily activities, the worker is an employee, not an independent contractor. This doesn't mean that the employer doesn't have any say in a project. Of course, the employer can impose reasonable limits. For example, the employer can say, "The brochure needs to be printed by March 22nd," but the independent contractor should be in charge of how the project is accomplished. In most cases, independent contractors must own and maintain their own tools and equipment. If a worker reports to work at a business and uses the business' equipment, that person is an employee. If, on the other hand, the work is done at the independent contractor's office or home on the worker's own equipment, it's much more likely that the CRA will consider this worker an independent contractor. Employees don't have many opportunities to take risks or incur profits outside of their agreed-upon wages. Yes, employees incur losses when they travel to work and pay parking fees, but these do not classify as risks in the eyes of the CRA. Also, employees may earn bonuses, but again, this is not what the CRA has in mind when discussing risks. Profits and risks come into play when an independent contractor can turn down work or choose to take a loss for various reasons such as doing work for charity, trying to secure better contracts, or obtaining a client at a loss to secure future business or gain prestige. Also, independent contractors can set their own rates, even varying their rates for certain projects, which is not a privilege employees usually enjoy. How integrated is the worker into the company? This can be difficult to determine and quantify, but the CRA uses it as one of their criteria for determining a worker's status. Contractors are less integrated than employees in the company's day-to-day affairs. They often come in only occasionally, or they work at the office when handling specific projects. It can be difficult to know if you're compliant, as each situation is gauged on a case-by-case basis, based on the personal interpretation of circumstances by the specific CRA Auditor you are dealing with. Rather than running the risk of having independent contractors be assessed as employees, it can be well worthwhile to seek professional advice before getting into any trouble. What Are Payroll Taxes in Canada? Without an understanding of payroll tax laws in Canada, you'll have a hard time operating your business. Payroll taxes are one of the most fundamental aspects of legally employing people in Canada. As soon as you hire people to work for you, you have responsibilities to pay them properly, and that includes paying payroll taxes. Personal income taxes, both at the federal and provincial levels, are the most significant revenue sources for Canadian government. Payroll taxes account for over 40% of Canada's tax revenues, and employers pay an integral part in the government's collection of these taxes. All provinces will also have you needing to pay premiums into that province’s Workers’ Compensation program, for example WSIB in Ontario. For each person in your employ, the proper amounts need to be calculated for each of the above, applicable funds (not all employees will have to pay all of these taxes). These amounts can be found by referring to the published tables for each tax or by using the CRA's online calculator. Then, you must hold the funds in trust until it's time to remit to each of the agencies. As an employer, you will probably have to answer payroll tax questions, including the question of what all these taxes are for. Let's take a brief look at each one. Established in 1965, this payroll tax funds Canada's social insurance program, which helps to fund Canada's public retirement income system. All Canadian workers who are 18 years of age and over are required to contribute to the CPP. However, there are certain rules around CPP deductions for those workers who have reached retirement age. There is a maximum amount of CPP that each employee pays per year so once that threshold is reached you no longer have to deduct the tax for the remainder of that year. Employers match workers' contributions to increase funding to the pension plan. Formerly called Unemployment Insurance, this payroll tax provides benefits to workers if they lose their jobs. Canadian employees pay a percentage of their salaries into the insurance fund; the amount they receive if they lose their jobs depends on their previous salaries, the length of their employment, and the unemployment rate in their local jurisdiction. Like Employment Insurance, Workers' Compensation is a form of insurance for workers who face unexpected hardship in the form of wage replacement and medical benefits. This was Canada's first social program because both workers' groups and employers hoped it would reduce lawsuits. It's still managed by local jurisdictions, as it has been since the early 20th century, and it's still funded by employers based on their payrolls. Each province has different rate groups based on the risk of the work being done. The bigger the risk, the higher the premiums the employer will pay. These rates have a tendency to change on a yearly basis across each province. Introduced in the 2004 Ontario Budget, the Ontario Health Premium contributes around $3 billion to the health care system each year. The payroll taxes remitted to the Ontario Health fund are invested directly into the health care system, and only those who are residents of Ontario must pay this tax. For more information about payroll tax questions, especially how they vary from province to province, contact us at The Payroll Edge. Whether you have difficult questions from your employees that need to be answered or you need help becoming compliant with payroll tax laws and guidelines, we can get you the help you need. A third-party payroll tax expert can make all the difference in the way your company operates. Remitting taxes. It's about the last detail you want to worry about as a small business owner. Remitting taxes doesn't advertise your goods and services, it doesn't help you to work more efficiently, and it doesn't train or find new employees for you. It just takes up your precious time that could be better spent in other ways. That's where payroll service providers can help you. With expertise in every aspect of tax law and logistics, a good payroll service can strike tax remittance from your to-do list, leaving you with time for the tasks that actually help to improve and grow your business. Ensure that when you are choosing a payroll provider you make sure they remit all of your government taxes as some only remit the general payroll taxes but not worker’s compensation or Ontario EHT. A provider that only does half the job can cause more confusion to an already frustrating process. There’s more to paying your staff than just using a payroll calculator. If you've been unsure about how tax remittance works or you're wondering what's involved, here's a primer based on common questions from Canadian employers. What do I have to remit? As an employer of Canadian workers, you're required to remit employee payroll tax, Canadian Pension Plan (CPP) contributions, Employment Insurance (EI) premiums, your employer's percentage of EI and CPP, workers’ compensation, and (in Ontario) Employee Health Tax (EHT). Each of these remittances must be individually calculated for each of your employees, and the calculations depend on the province or territory where your employees report for work. Each of these contributions must be calculated and remitted correctly if you wish to avoid paying fines. Where do I send payroll remittances? Most Canadian employers remit to at least three different government agencies each time they calculate payroll. Depending on which provincial and territorial agencies are involved, you may have many different offices to remit to. Follow the instructions on the remittance tables published by the various provinces and territories where you must remit taxes, and send your funds to the appropriate offices. 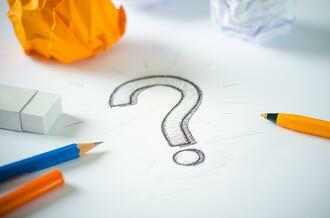 When do I remit payroll taxes? This is an important question to answer because you'll be faced with fines if you fail to make your remittances on time. Each governmental agency has a different remittance schedule, and unfortunately, this variation of remittance schedules consumes a lot of time for the average Canadian business. Most agencies have monthly remittance schedules, but your due dates will probably land on different days of the month, causing issues with cash flow and time management. How can I streamline my payroll duties? Clearly, staying on top of Canadian payroll is a time-consuming and headache-inducing affair. If you're tired of managing all of these administrative details, turn payroll over to the pros. Instead of looking through tax schedules and charts, get out from behind your desk and meet with customers and clients. Instead of cutting checks and making phone calls to government agencies, pursue your dreams of expansion. At The Payroll Edge, we have more than 25 years of tax remittance experience. Recognized as a payroll authority even among administrators at the CRA, we are always on top of changing tax laws and regulations. It's our job, and we do it well. We can save you an immense amount of time and frustration when we assume the payroll responsibilities at your company. You'll be amazed at the reduction in stress when you don't have to worry that you've remitted the wrong amounts at the wrong time. You'll have confidence that the job is being carried out by professionals who guarantee their work. For more information about what The Payroll Edge can do for your company, contact us. We'll be happy to discuss your company's payroll and tax remittance needs. In Canada, small businesses have been identified as the greatest source of uncollected taxes, so the CRA is focusing its efforts on enforcing payroll tax policies for small businesses. Therefore, it's essential that you learn about payroll tax in Canada and what your obligations are as an employer. Pay close attention to the following five things that you need to know. The CRA must receive your payroll tax remittance on or before the 15th day of the month after you made the deductions. Some businesses are eligible for quarterly remitting. If you don't remit your payroll taxes on time, you are subject to fines, so always stay ahead of the game by making payroll tax remittance a priority on your to-do list. Remember that if your remittance due date falls on a weekend or public holiday, your remittance is due on the next business day. The federal government regularly produces payroll deduction tables to help employers deduct the correct amount from each employee's paycheque. Each province and territory has its own payroll deduction tables, so use the appropriate tables for your employees. You should use the table for the province or territory where the employee reports to work, even if it's different from the location of the employee's home. Payroll deduction tables change from time to time, so check the CRA's website for the latest tables. After you've figured out your employees' payroll tax deductions, you still need to take care of CPP contributions. CPP contributions should be deducted for all employees who are 18 years old or older but younger than age 70. 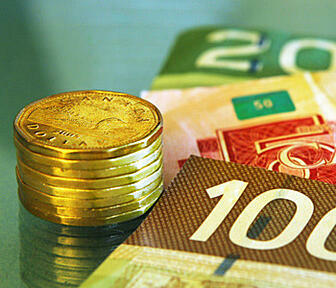 Employers are required to withhold EI premiums up to a set maximum for the year. Once your employees' maximums have been met, you won't withhold any money from their paycheques until the following calendar year. The CRA publishes tables telling you how much to withhold for employees, based on their wages. If you pay year-end or other bonuses, or if you give your employees retroactive pay increases, you need to deduct the following items from their pay: CPP contributions, EI premiums, and income tax. Refer to the CRA's website for instructions on how to calculate taxes for bonuses and retroactive pay increases. 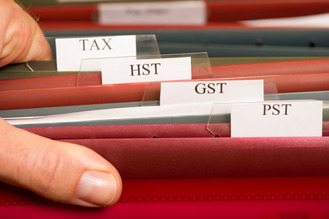 These five items are by no means everything you need to know about payroll tax in Canada. Because not only does the employer have to worry about calculating and remitting the employee withholding deductions, there are also the burdens the employer must pay, including their percentage of EI and CPP, as well as workers’ comp and EHT in Ontario. Not only that, these different government agency accounts can all have different remittance frequencies, and usually on different days of the month. It becomes even more complicated for businesses operating in more than one province. Keeping this all straight and remitting on time, never mind just paying staff, can cause big headaches and huge wastes of time for an average business. But payroll services specialize in these tasks. The Payroll Edge, for example, keeps up to date on tax legislation and has contacts at the CRA for when unusual situations arise. We can handle all aspects of your payroll, from setting up and properly maintaining your accounts with government authorities, to delivering paycheques to your employees, to providing expert HR advice. You don't have to do a thing – except keep your business running just the way you want it run.